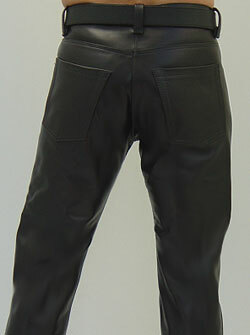 Thick high quality leather jeans. 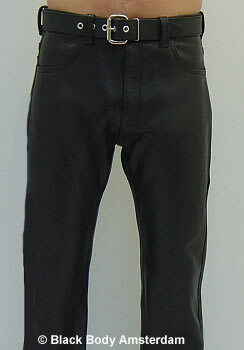 Low cut waist, button fly, 2 front and 2 back pockets. Unlined.